Bunkai-kei's second release is a sequel to the first release, with Go-qualia remixing tracks from takumi uesaka(M.2, 3) and acane_madder(M.4). As Chapter 1 being the prologue, and this Chapter 2, generated by communication, these two combined makes a true opening of Bunkai-kei records. 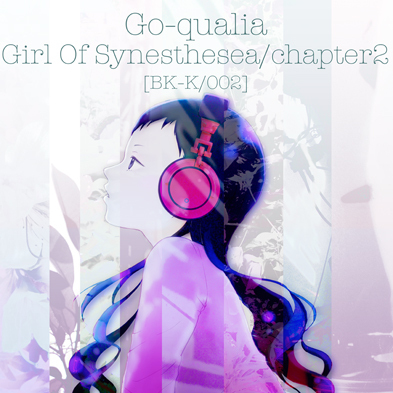 [BK-K 002] Girl of Synesthesea/Chapter2 by Go-qualia is licensed under a Attribution-NonCommercial-ShareAlike 2.1 Japan License.